Nobody wants crooked, misaligned teeth, but a mouthful of metal isn’t exactly an appealing alternative. 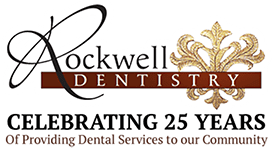 The general and cosmetic dentists at Rockwell Dentistry in Middletown and Hamilton, New Jersey, offer Invisalign™ teeth alignment treatment. If you want a beautiful smile without the hassle of braces, call the Invisalign™ Preferred Providers at Rockwell Dentistry or book an appointment online today. Invisalign™ is a revolutionary new way to straighten teeth, offering an appealing alternative to traditional orthodontic treatments like braces. Your teeth will be progressively aligned over time thanks to clear, plastic aligners that fit over your teeth. Each set is worn for about two weeks before moving on to the next set in the series. The aligners are removable for easy eating and teeth cleaning, but you need to wear them for at least 20 hours per day for the best results. Invisalign™ should stay in your mouth if you’re not eating or brushing your teeth. What are the benefits of Invisalign™ over braces? Invisalign™ treatments usually last from 9-15 months, but the time needed varies depending on your unique circumstances. Invisalign™ might not be the right treatment for you if you have major alignment and orthodontic issues. Your dentist might recommend an alternative treatment if this is the case. What can I expect from Invisalign™ treatment? Your dentist will start by examining your teeth to check that Invisalign™ is the right choice for you. They may take a physical impression of your teeth or use a digital scanning device to create 3D images. Using these, your dentist will develop a precise treatment plan. After this step, your dentist will customize plastic aligners to fit over your teeth. While you wear them, the aligners gradually push your teeth where they are supposed to go. New aligners may be made as your teeth begin to shift. This process repeats until your smile has its new shape. Want to straighten your teeth and have a perfect smile? Don’t want the pain, discomfort, and inconvenience of braces? Book online or call Rockwell Dentistry to talk to your dentist about Invisalign™.